Hello Lovely People, It’s a beautiful, though chilly day here - let's warm it up a bit by announcing Day 3 in our week of New Zealand Handmade Member Giveaways. These are the cutest little Slip On Shoes by Christine of My 2 Monsters! If you want something a little different that will keep your bub warm and be funky at the same time these are for you! 100% wool. Your choice of size: 0-3 mths, 3-6mths, 6-9mths Colour: Aqua with a fabric paua yoyo. c, On the go crafting magic - I've hinted at Amuguri. My version is flat bottomed and generously propotioned, so its easy to see to the bottom and get stuff in and out. The exterior is made up of 'decorator weight' cotton print by ever popular Amy Butler. The lining is a charming teal quilter's cotton. Its fully washable. As an added functional feature (and to give them a extra somethin somethin) a fine ribbon has been secured through the zip slider to allow you to loop this over your wrist. ﻿This Gift is a one hour LifeEnergiser or BizEnergiser coaching session. You, as the winner can choose which part of your life you want to ignite. (maybe there are several parts waiting for the chance) I look forward to being in great company, Yours. Today's 4 giveaways are open world-wide - tell your friends, family, neighbours! Winners will be selected at 10am NZ time Wednesday, 20 April via Random.org and will be notified via email and on this post. Note 2: we need to be able to contact you through your comment or through facebook. Winners will be posted on the wall each morning - if you are a lucky winner then please dm us on facebook or email info@newzealandhandmade.co.nz. Alternatively you can leave a contact email on the comment. 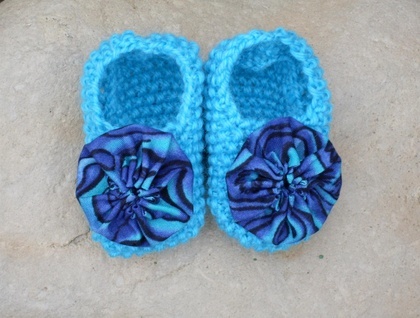 I'm a Facebook fan, and I have a new niece arriving in July who would be great for the paua slip-ons! A fan of My 2 Monsters on Facebook, would love the Paua slip ons. GO CHRISTINE!!! The Blanket Brooch is gorgeous and the perfect accessory for cold winter days - a reminder of where we'd rather be, wrapped up in bed! I'd love to win it. Oh, and I have started following Marion's facebook, as well! The zipper purse! I like carrying around crafty bits and bobs to work on at odd moments, but have trouble keeping everything together. This purse would be perfect! I am a NZHM follower on Facebook and have just started following The Wardrobe's facebook as well. The zipper purse or the paua slip on thanks!!! Would love to win the Paua Slip Ons! Hiya, would love the paua slip ons or the purse, very cute! 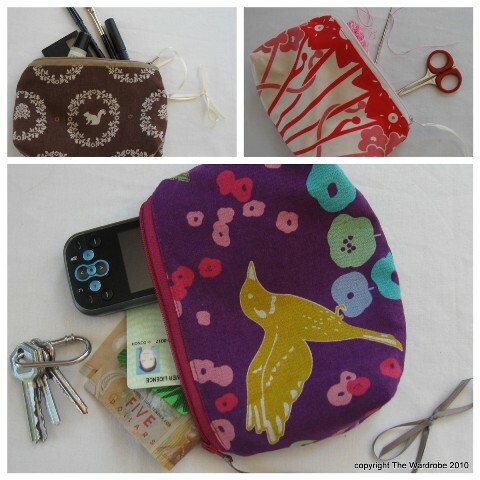 Love The Wardrobe – Fabric Zipper Purse!! I follow your blog and I'd love to win the zipper purse. i would love the fabric zipper purse! LOve that cute little teal purse!! thanks for entering me! The fabric zipper purse is lovely and thanks for the opportunity. Ive just become a FB liker of "The Wardrobe". Thanks for the lovely giveaways. The Paua Slip Ons please!! I'd love to win the fabric purse. I'm a liker of the FB page. Thanks. Hi I would LOVE the fabric zipper purse and the Paua slip ons! I tweeted about the fabric purse and put your link up on my fb page. Thanks again. Enter me for the Fabric Zipper Purse please. So useful! I love the The Wardrobe's Fabric Zipper Purse, am crossing my fingers! And I've now subscribed to The Wardrobes RSS feed. It's a really interesting read! Marian Smale – Blanket Brooch is super cool. My 2 Monsters – Paua Slip Ons - Cute, it's nice to see girly things not PINK!!! It's true a woman can never have too many zipper purses!!! Did I add that I am a new friend on The Wardrobe and I just joined up to 2 Monsters too. Love the little baby slippers. I just did a promo for you to 4000 friends and liked Marians' page too. Loving that brooch. Love to be in the draw to win it. I'd love to win the Paua Slip Ons for my little girl. I'm a facebook fan. Gorgeous slippers and purse! Such beautiful creations! Please put me in the draw for the zip purse - thanks! Wow how do give away such beautiful items, they are all gorgeous. Would love any of them. And I have shared and liked Marian's page on FB. I would like a Wardrobe Zipper Purse. maybe that will keep my handbag in order. Like The Wardrobe FB page.